Underground storage tanks (USTs), such as steel fuel tanks, or buried drums can be detected using a range of geophysical tools, including metal detection, magnetometers, line tracing, electromagnetic conductivity (EM), time domain EM, and ground penetrating radar (GPR). 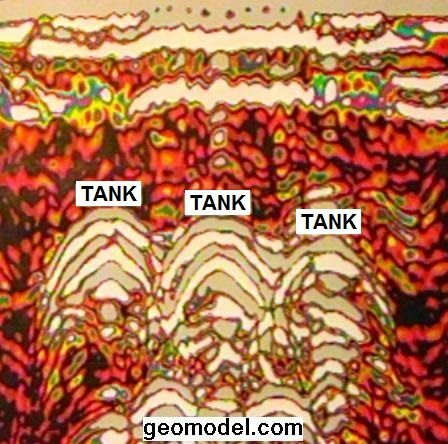 GeoModel, Inc., is not only equipped with a complete selection of necessary underground storage tank detection tools, but has the training and expertise to accurately use them. 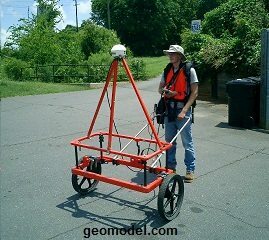 GeoModel typically uses an electromagnetic conductivity survey, EM survey, or metal detector survey to locate buried drums made of metal. A magnetometer can also be used for ferrous (iron) metal buried drum detection. The surveys are rapid and can locate any type of metal buried drum in a short time frame. 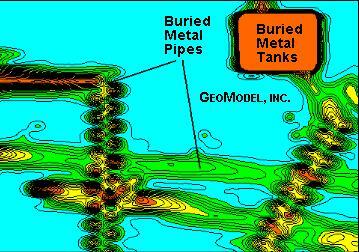 GeoModel can mark out the results in the field or download the EM data to a computer and produce a color-contoured map for interpretation of locations of underground storage tanks or buried drums and final report presentation.